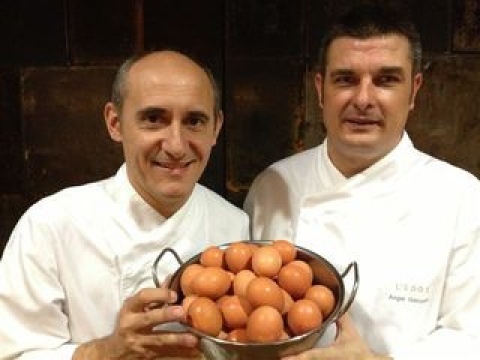 Paco Pérez has created this restaurant and bar where eggs are the main ingredient. Egg yolk croquettes. Duck egg with Pekin sauce. Fried quail egg on grilled marrow with chilli, onion and green beans. Fried eggs with sea cucumber, sausage and potatoes. Eggs in potato ravioli with salmorejo and rabbit. Pilpil cod omelette. Rice with chicken and cuttlefish. Open on Sunday night and all the day for late lunch. Address:Passeig de Gràcia, 116. Jardinets de Gràcia.